WASHINGTON (AP) — Stepping up Democratic efforts to shield the Russia investigation, Senate Minority Leader Chuck Schumer said Sunday he would seek to tie a measure protecting special counsel Robert Mueller to must-pass legislation if acting attorney general Matthew Whitaker does not recuse himself from oversight of the probe. Schumer pointed to Whitaker’s “history of hostile statements” toward the Mueller investigation. Schumer sent a letter to the Justice Department on Sunday along with House Minority Leader Nancy Pelosi and other top Democrats that calls for Lee Lofthus, an assistant attorney general and the department’s chief ethics officer, to disclose whether he had advised Whitaker to recuse himself from oversight of the probe. 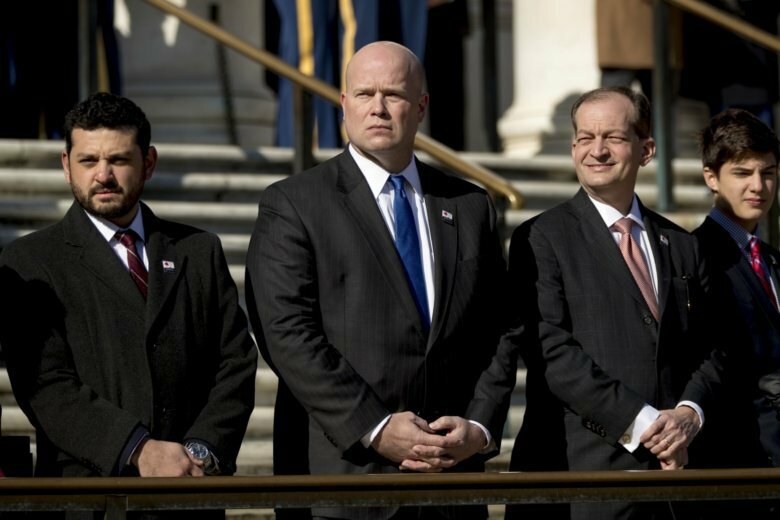 The Democrats cited Whitaker’s past public statements, which have included an op-ed article in which he said Mueller would be straying outside his mandate if he investigated President Donald Trump’s family finances and a talk radio interview in which he maintained there was no evidence of collusion between the Russia and the Trump campaign during the 2016 election. The letter asked Lofthus to explain his reasoning for any recommendation he made to Whitaker regarding recusal and to provide all ethics guidance provided to the acting attorney general.